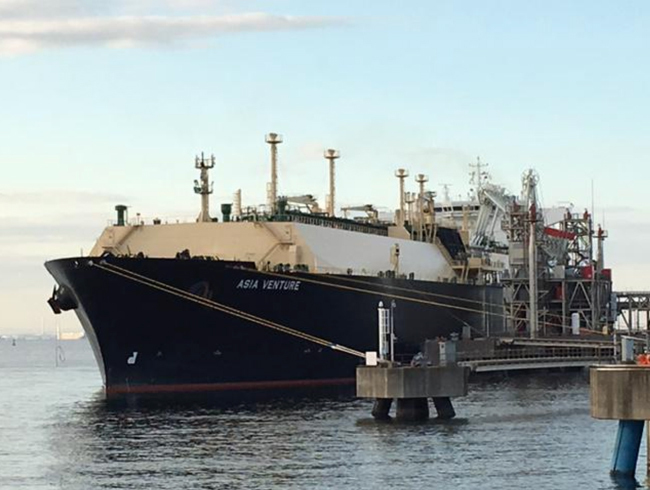 Chevron recently marked the first shipment of LNG from its US$34 billion Wheatstone Project, located 12 kilometres west of Onslow in Western Australia, on the vessel Asia Venture, one of six new state-of-the-art LNG carriers recently added to the Chevron operated fleet. Shipped by one of Chevron’s foundation buyers, JERA, it left the Port of Ashburton on October 31 and arrived at the TEPCO Fuel & cargo Power Futtsu LNG Terminal in Chiba Prefecture, Japan on 12 November 2017. JERA will be the largest buyer of LNG from the Wheatstone Project, after concluding a long-term sales and purchase agreements for 5.2 MTPA of LNG. JERA also contributed to the launch of the Wheatstone Project as a participant in the project through PE Wheatstone Pty. Ltd., an Australian subsidiary of Pan Pacific Energy K.K., which is jointly owned by Mitsubishi Corporation (“MC”), Nippon Yusen Kabushiki Kaisha (“NYK Line”) and Japan Oil, Gas and Metals National Corporation (“JOGMEC”). The Kyushu Electric Power Company is also part of the Wheatstone Project joint venture. The start of LNG exports from the Wheatstone Marine Terminal within the Port of Ashburton triggers the handover of the new port facilities from Chevron Australia to the Pilbara Ports Authority. Under the State Development Agreement for the Wheatstone Project, the proponents have funded the full construction of the State-owned port. The multimillion-dollar port development includes 312 hectares of common user area, an infrastructure corridor and 250 square kilometres of port waters. The Wheatstone Project includes two LNG processing trains with a total capacity of 8.9 million tonnes per year, plus a 200 terajoules per day domestic gas plant. Once Wheatstone is fully operational, Chevron is expected to be Australia’s largest liquefaction owner with 15.8 million tonnes per annum. At full capacity, Chevron’s Gorgon and Wheatstone facilities have the capacity to produce 500TJ/d of domestic gas, around 50 percent of the current supply in WA.